Board-certified plastic surgeon Jon Paul Trevisani, MD, FACS has years of extensive training and experience with all aspects of breast surgery, including breast augmentation, implant revisions, breast reduction, lift, and more. 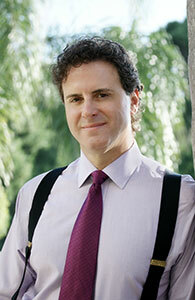 Dr. Jon Paul Trevisani has been in private practice since 1995, founding The Aesthetic Surgery Centre in 1997. This state-of-the-art facility has an in-office surgical suite and is certified by the American Association for Accreditation of Ambulatory Surgery Facilities. Plastic surgery requires an artistic eye and an expert hand to execute properly. Dr. Jon Paul Trevisani offers a complete range of modern aesthetic procedures and rejuvenation techniques at his practice. Dr. Jon does not offer all plastic surgery procedures, instead he has chosen to devote his career to specific areas, becoming an expert in breast lift, breast reduction, breast implant revision, and breast augmentation surgery. He also offers his expertise to body contouring procedures, such as abdominoplasty (tummy tuck) and liposuction, as well as facial rejuvination procedures such as face lift and eyelid surgery. Non-surgical options at Dr. Jon’s practice include skin care treatments such as dermal filler injections and laser hair removal. Dr. Jon, as his patients and staff call him, has a reputation of addressing the individual and their unique needs. It is through his personal one-on-one approach that he can help each patient receive their desired results. His friendly, personable demeanor puts patients at ease, letting them know they are a welcomed addition to The Aesthetic Surgery Centre family. Dr. Jon is compassionate and down-to-earth, and he chose plastic surgery because he likes helping people feel better about themselves. He treats each patient with confidential, personalized care, and he is committed to helping patients reach their individual enhancement goals. Dr. Jon is known for his perfectionism and attention to detail. He shows his high level of competency through his understanding and explanation of procedures, helping patients take an active role in their care. Dr. Jon Paul Trevisani is a Phi Beta Kappa graduate of the University of Nebraska, Lincoln, and a member of Alpha Omega Alpha, the medical honor society that comprises the top ten percent of medical students. Graduating with distinction from the University of Nebraska Medical School in Omaha, he then continued with five years of general surgery training at the University of Kansas Medical Center in Kansas City. Dr. Jon completed his residency in plastic surgery at the University of Rochester in Rochester, New York. He now utilizes his extensive surgical knowledge and experience to help train and mentor third and fourth year medical students as Assistant Professor of Plastic Surgery at the University of Central Florida College of Medicine in Orlando. Dr. Jon Paul Trevisani’s impressive credentials are listed below. If you are interested in plastic surgery, contact Dr. Jon Paul Trevisani and The Aesthetic Surgery Centre today to schedule a confidential consultation.